If humans are to understand and discover ways of addressing complex social and ecological problems, we first need to find intimacy with our particular places and communities. Cultivating a relationship to place often includes a negotiating process that involves both science and sensibility. While science is one key part of an adaptive and resilient society, the cultivation of a renewed sense of place and community is essential as well. 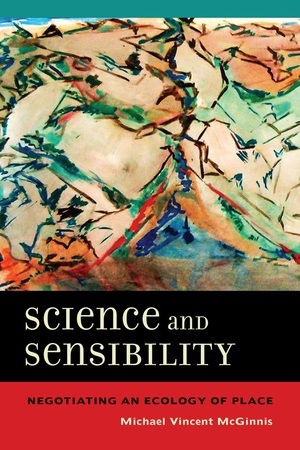 Science and Sensibility argues for the need for ecology to engage with philosophical values and economic motivations in a political process of negotiation, with the goal of shaping humans' treatment of the natural world. Michael Vincent McGinnis aims to reframe ecology so it might have greater “trans-scientific” awareness of the roles and interactions among multiple stakeholders in socioecological systems, and he also maintains that deep ecological knowledge of specific places will be crucial to supporting a sustainable society. He uses numerous specific case studies from watershed, coastal, and marine habitats to illustrate how place-based ecological negotiation can occur, and how reframing our negotiation process can influence conservation, restoration, and environmental policy in effective ways. Michael Vincent McGinnis is Associate Professor at the Middlebury Institute of International Studies in Monterey, California. He is the editor of Bioregionalism and is the author of Marine Governance: The New Zealand Experience.